2017-2018 - Invited Editor: SI Emerging advances and challenges in pesticide ecotoxicology, Ecotoxicology. since May 2014 - Review Editor for the journal Frontiers in Environmental Science. Since 2009 - Active reviewer for the national Journal CAPTar. TEACHING ACTIVITIES: collaboration in lecturing the courses 'Wetland Ecology', 'Biological and Molecular Evolution', 'Topics ad laboratories of Biology', 'Laboratories of Molecular and Cellular Biology', 'Integrated Natural Sciences', 'Aditional Scientific and Pedagogic Training for elementary school teachers', all in the University of Aveiro, since 2003; collaboraion in lecturing the course 'Pedagogic Inovation' (MSc in Sience Education, 2003), in the University of Coimbra; Secondary school teacher for Biology and Geology in 2001/2002 and in 2008. ORGANISED CONFERENCES/WORKSHOPS/SEMINARS: Head of the Organizing Committee of the 10th Portuguese Conference on Polar Sciences – 25-26 October 2018, Aveiro, Portugal; Member of the Organizing Committee (head of the secretariat) of the 24th International Conference on Subterranean Biology – 20-24 August 2018, Aveiro, Portugal; Chairing of the session “Rational design of chemicals and pharmaceuticals and other input prevention measures towards sustainable technological development” in SETAC 25th Europe Annual Meeting – 3-7 May, Barcelona, Spain; Workshop “Freshwater invasive species: global problematic, research perspectives and sampling techniques”, 25-26 February 2015, Department of Biology, University of Aveiro; Workshop “The Asian clam and the zebra mussel in Portugal: invasion process, industrial infestation and pest management”, 23 July 2014, Department of Chemical Engineering, University of Coimbra. SCIENCE OUTREACH ACTIVITIES: collaboration in diverse activities promoted by the Department of Biology of the University of Aveiro under the scope of the programme "Academia de Verão", in 2008, 2010, 2011, 2015 e 2016; collaboration in the internship «Efeitos de alterações climáticas em populações de invertebrados: uma abordagem experimental», promoted by the Department of Biology of the University of Aveiro under the scope of the programme Ocupação Científica de Jovens nas Férias (funded by Agência Nacional para a Cultura Científica e Tecnológica), in 2010. 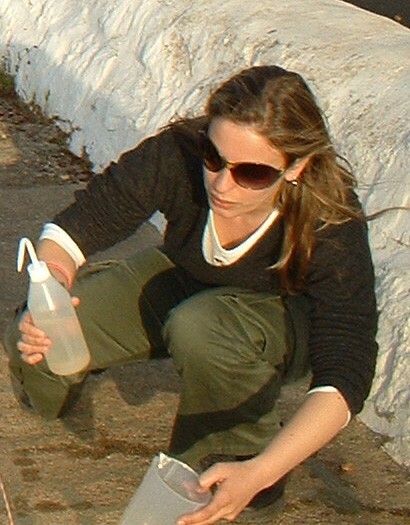 TECHNICAL ASSISTANCE: collaboration as a research technician in the Laboratory of Freshwater Ecology, Ecotoxicology ad Risk (Department of Biology, University of Aveiro), in 2003 and 2008.